The internet is a relatively new invention but since it’s birth, it has changed the way we live. It has spawned hundreds of new industries, dramatically improved communication times, and created millions of new jobs, particularly in developing nations. One of those hundreds of new industries that are responsible for thousands of jobs is website design: the process of designing and building websites. This industry has evolved along with the development of the internet. In 1990, Tim Berners-Lee developed the very first web browser, and it was called WorldWideWeb, although it was later renamed as Nexus. At that time, only text could be displayed on a web page. No fancy fonts, no pretty pictures or videos, just simple plain text, with links underlined in blue. In 1993 Mosaic was released, the first ever web browser that allowed developers to add images to their web pages. It was able to support .gif images and web forms, a massive leap forward for the time. Website design capabilities were severely limited due to browser constraints and the incredibly slow connection speeds. Websites that contained too many images, videos, or other graphic elements would simply take too long to load. By the mid-nineties, Netscape was the top web browser but it was soon knocked off its pedestal by Internet Explorer and so began the war of the browsers. Around this time, web design began to get a little more complex, using frames and tables as well as images. From 1998, we began to see the introduction of web development toolkits. Remember DreamWeaver? GoLive? These began to be more popular as they gave a larger number of users access to web page creation. Jobs in web design began to grow as more designers were offered jobs to build sites. Flash technology also made its appearance during this era of web site design although it was not all that popular to start off with. In the year 2000, the bubble burst and hundreds of thousands of web businesses crashed. However, while this may have put the clamps on things for a while, it was not for long. Web design standards began to pick up again. Now we started to see a better class of design. We got designs that were not based on tables, we got transparency with .png images and CMS began to grow in popularity. Content Management System was a program that allowed designers to publish content on the web. They could go back in and edit what they had published and modify it as they saw fit. Web 2.0 was born in 2004. This was the era of bold websites, sites that were aimed at communities. There was bold typography and shiny gradients. Corners became rounded, edges softened and web design, once again, took off at the speed of light. Websites began to be more functional and needed more in the way of an interface to work properly. Widgets were introduced all over the place to help integrate one site with another. This was more often, where a social network site was involved, lining outside feeds to the site, or lining from the site to a blog. This era was also marked by an increase in the accessibility of websites to common people. Developments such as WordPress and Blogger, along with user-friendly guides on how to make a website helped every day people make a website without having to learn HTML or CSS. Website design has evolved incredibly over the last few years and one thing that has given it a push, unbelievably, was the iPhone. 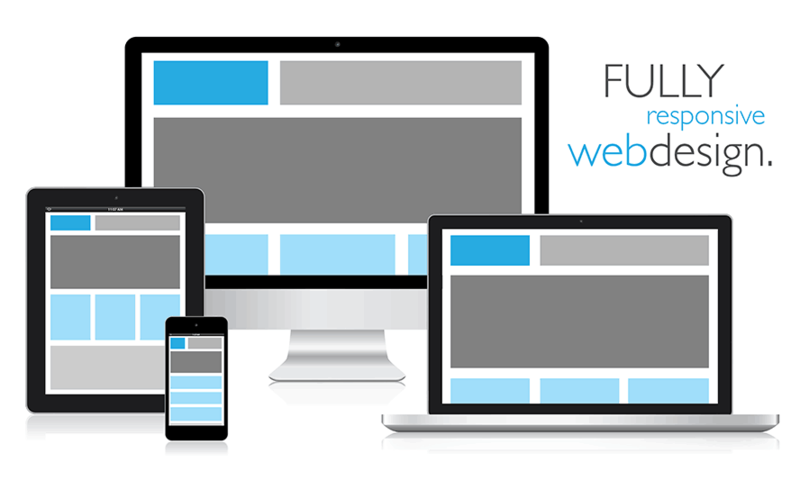 Mobile website design was introduced, allowing people to view sites properly on their phones. Many of the bigger websites created mobile versions of their sites specifically for the smartphone and the tablets that were fast becoming popular devices. On the internet itself, the large and fast-growing social network sites created more widgets for users to add to their blogs and other websites created widgets designed to go on social network sites. In design, typography increased tremendously and grid-based designs are fast becoming the norm. Today, website design is a huge business. Designs are more complex yet less cluttered. Early websites were difficult to navigate; today, a well-designed website is enough to ensure your business will succeed. In terms of design, where the internet goes from now is anyone’s guess. We have color, we have fonts and we have images. We can even embed videos into websites now so who knows where the next trend will take us. Thanks for sharing your ideas listed here. The other matter is that if a problem develops with a laptop or computer motherboard, people should not go ahead and take risk regarding repairing the item themselves because if it is not done correctly it can lead to permanent damage to the full laptop. It is usually safe to approach any dealer of a laptop with the repair of its motherboard. They’ve got technicians who’ve an experience in dealing with laptop motherboard challenges and can have the right diagnosis and execute repairs. I want to be a desiger!